After weeks of speculation, Oaks Christian made it official Thursday, announcing the hiring of Jeremy Sieverts as head men’s lacrosse coach and Geoff Sebold as the school’s Lacrosse Operations Director. 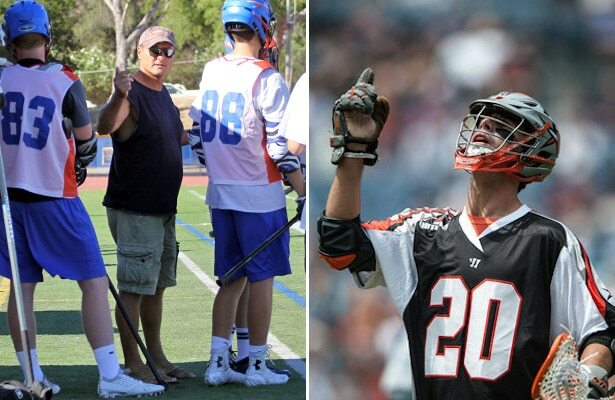 Sieverts, a Maryland alum and four-time Major League Lacrosse all-star as a member of the Denver Outlaws, has been an assistant coach at Orange County power Corona del Mar for the past four seasons. Sebold is making a return to Oaks Christian, where he founded the boys’ lacrosse program in 2005 and coached for four seasons. He later coached three seasons at Newbury Park and one at Cal-State Channel Islands. He has spent the last two seasons as offensive coordinator at Westlake High School. Last spring, he was named U.S. Lacrosse Assistant Coach of the Year by his Ventura-area colleagues for his work at Westlake. While the Lions have fielded a boys lacrosse team since 2005, they launched a girls program only last spring. Girls coach Devin Markle, who played at Vermont from 2007-2010 and coaches with the Buku Lacrosse club out of Orange County, will return in 2016 for her second season. Sebold will apply his years of experience to mentor both Sieverts and Markle. Sieverts said he will be transitioning into his new role as head coach over the course of the fall, with Sebold coaching the Lions’ in the LA Mavericks Fall Ball League at Agoura. In the spring, Sieverts will balance his coaching responsibilities with his preparations for the Outlaws’ 2016 season, which begins in April. The Oaks Christian varsity finished 4-11 last spring, with eight of the losses coming in Marmonte League play to playoff teams Westlake, Thousand Oaks, Newbury Park and Agoura. The other three were to Top 10 teams Peninsula, Harvard Westlake and Oak Park. The Lions’ strength of schedule (SOS) ranked 19th in the Southern Section and seventh out of 46 teams in the L.A. division.